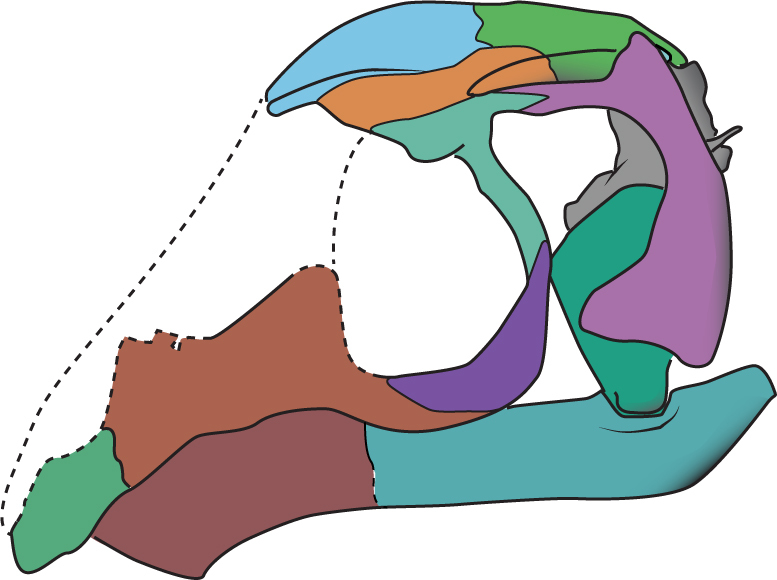 This week, a [paper] came out describing a new fossil skull. The skull belongs to a reptile group called Drepanosaurs (dre-PAN-o-saurs). This group is well-known as we have several fossils of the bodies. Heads, however, have been harder to find. A few different drepanosaurs. From here. These reptiles evolved during the Permian (sometime around 260 million years ago), but did not become a diverse group until the Late Triassic (around 219 million years ago). That means they survived the biggest extinction event this planet has experienced – the Permo-Triassic Extinction Event. This occurred at 250 million years ago and around 90% of all life went extinct. An approximation of what Earth looked like during the Permo-Triassic Extinction. 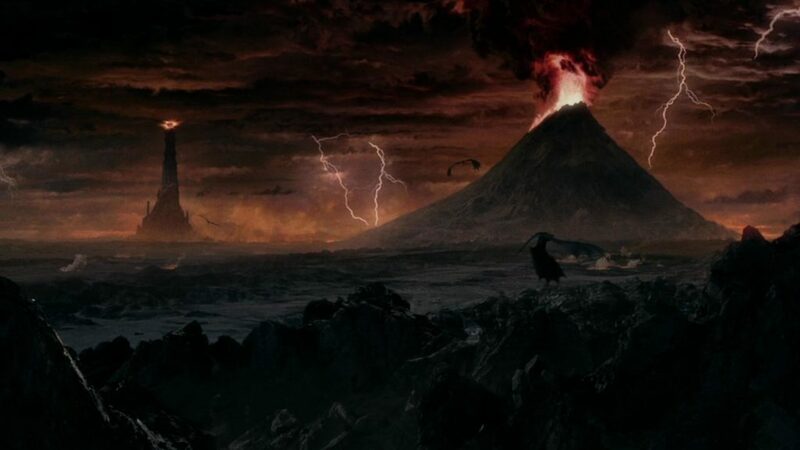 (Just kidding – it’s Mordor). The drepanosaurs lived on, though! These little reptiles looked very much like chameleons, but had some unique traits. The new fossil is called Avicranium renestoi (“avi” for bird, “cranium” for head, and “renesto” in honor of a paleontologist who works on this group). Figure 2 from the paper showing the reconstruction of the skull bones. The long dotted line is the missing portion of the snout. The nose is to the left. 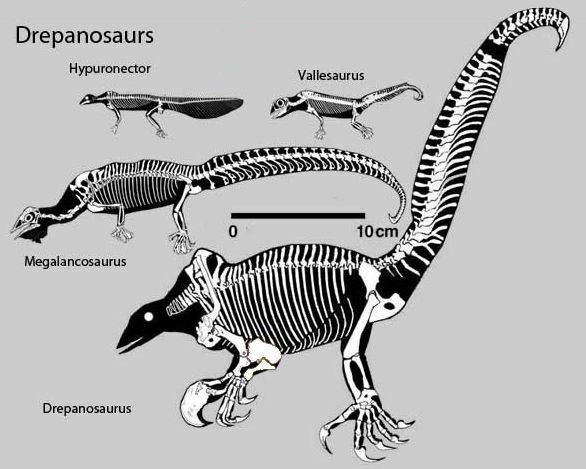 As its name suggests, the skull shows a mix of shapes, some looking very bird-like, and some looking very reptile-like. Let’s start with the bird-like features. The skull has is edentulous (has no teeth). Also, the part of the skull slightly back from the eyes is very domed. This leads to a bird-like braincase and [endocast]. These shapes are very similar to what we find in pterosaurs, modern birds, and some maniraptorans. Some of the features, like the back of the braincase and the ear, are very similar to other early reptiles. So Avicranium has a mix of bird-like and reptile-like features making up its skull. An analysis of evolutionary relationships puts this group at the very base of the reptile tree. This shows us that some of these ‘bird traits’ evolved way earlier and in unrelated groups. It also shows us that the diversity in body shapes was much higher in the Triassic than we previously thought.